There are so many preschool readiness apps on the App Store, it can be difficult to find the ones that are truly good. We’ve picked out some of our absolute favorites in the 50 Best Apps for Kids, but with the year soon coming to an end we’re getting our butts in gear to update the list with some new ones. One contender for the new list is Princess Lila by new developer Octo Mini. It’s a collection of 10 educational games designed to help preschoolers build basic skills. 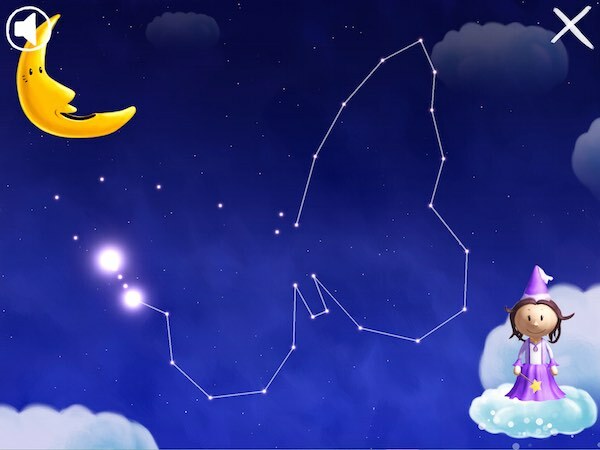 Featuring gorgeous hand-drawn artwork and a charming fairy tale theme, this lovely app will keep your little royals learning while having fun. At the beginning of the app, a short animation depicts how the mischievous Rainbow Elf has trapped the kingdom’s inhabitants in colorful eggs. Princess Lila is determined to free them, but to do so she needs your kids’ help to complete the games. There are 10 games in total, presented in three levels of difficulty. 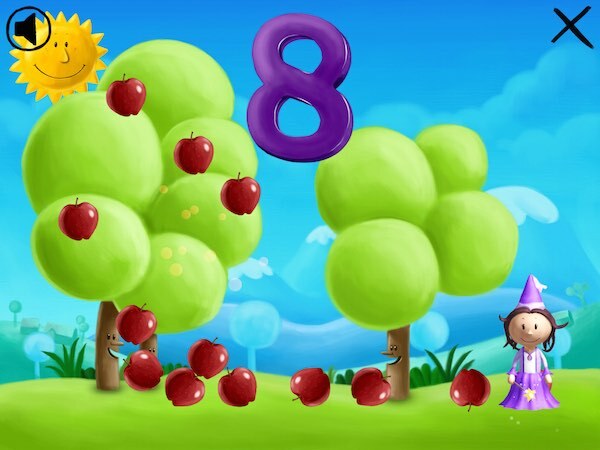 Throughout the games kids will have to count fruits, sort items, feed animals, connect the dots to make pictures, spell words, and more. The games also continue the fairy tale theme, for example kids get to play hide-and-seek with baby dragons, and help a knight find his way out of a labyrinth. To select a game, kids tap on a marked item in Princess Lila’s kingdom. Or, they can have the app decide for them by tapping on the Sun at the top. They can interact with the objects on the map, tapping on buildings and trees and moving characters around. As kids free more characters, they will eventually be placed on the map as well. Later on, kids will receive an additional goal to retrieve Princess Lila’s stolen jewels. To do so, they must catch the thief when he appears on screen. There are 20 unique jewels to retrieve, which you can check by tapping on Princess Lila’s castle. The app allows up to three player profiles. Parents can set the difficulty level for each profile, as well as customize which games should appear and what language should be used for the audio instructions. It’s also possible to completely reset a player’s progress. The settings, along with a protected section containing outbound links to the developer’s site and support request, can be found on the app’s main screen. The app does not contain ads and in-app purchases. Princess Lila is truly a gem. The audiovisuals are lovely with vibrant hand-drawn artwork and pleasant music tracks. There is plenty of opportunity for interaction, for example in the game selection screen where you can spin windmills, dissolve clouds, and move the little characters around. The app also has a wide selection of activities to keep young minds engaged for some time. While simple, they are useful for building basic skills such as spelling, counting, shape recognition, sorting, and problem solving. It’s great how they encourage kids to work towards a big goal that ties nicely into the story. Additionally, kids also try to achieve smaller goals, such as hatching phoenixes and collecting jewels. There is no time limit for completing them, so kids can work on their own pace. That said, the app will keep them busy for quite some time. Princess Lila offers 10 fun and friendly educational games to help kids build basic skills. The illustrations are lovely, and the original background music complements the fairy tale theme nicely. Adjustable difficulty levels and customizable activities allow parents to cater to each child’s progress. It’s a solid learning experience for kids ages 3-5.